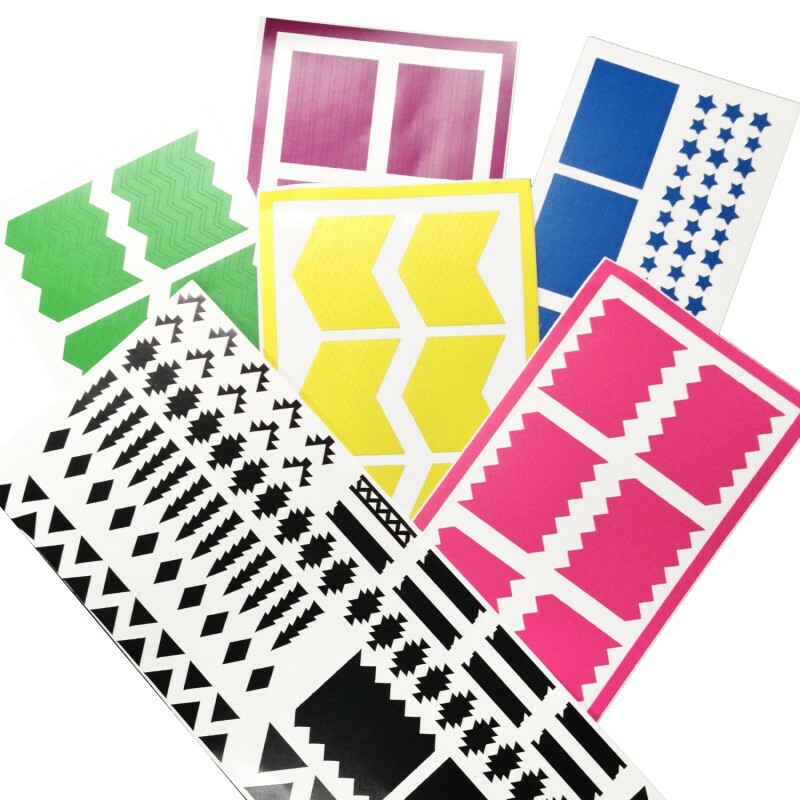 Nail vinyl decal sheets will retail for $5 each. Each glitter polish will retail for $8.75 per 15 ml bottle, while the creams will retail for just $7.50 per 15 ml bottle. Mixed Peelings – A creamy off white polish with citrus and fruit colored glitters in neon green, lemon yellow and watermelon pink. Look High And Holo – A raspberry jelly with a rainbows worth of holographic glitters in hexes and squares. Peak My Interest – A melon pink colored polish with triangle glitters in white, pink and dark aqua. Sea You Around - This deep emerald green near teal jelly features fuchsia and silver circle glitters, light blue squares hexes in a base with scattered fuchsia micro slivers and micro sparkle. Mint-al Vacation - This light aqua seafoam has two personalities. In low light, is has a beautiful white shimmer, but in the sun or bright light, you can see a holographic rainbow of color. Periwinkle In Time – A periwinkle colored crelly polish loaded with holographic glitters in aqua, navy blue, sliver and violet. Scribble Me This – A graffiti inspired glitter top coat featuring mini stars, triangles, and neon glitters. Sweet Wave – A Bright pastel candy inspired glitter top coat with white, mint, periwinkle and watermelon colored glitters. Red, White & Blue-tiful – A limited edition top coat with mini red, holographic sliver and holographic blue stars. Small red, silver and navy blue glitters along with micro holographic sparkles complete this patriotic polish. Happily Ever Aster – A floral inspired glitter top coat with purple, lavender, light aqua and white glitters swimming in a sparkling base. Radiant Orchid – Radiant Orchid, 2014 color of the year, is the ideal shade to transition nails from spring to summer and even fall. This pink toned purple has fuchsia and mauve undertones. You’re So Shellfish – Near neon peachy orange perfect for summer pedicures.